While to “work less and travel more,” is most people’s idea of life goals, most of us must face that we are limited to a certain amount of vacation days and a certain amount of money. What we need to do with these limitations is make the most of them which means to travel as often as possible, for as little as possible and get the most out of the trip. Now how does one go about that? First things first, before the traveling begins make sure to use your rewards points! The most effective way of putting this plan into place is tracking your rewards and making sure you are aware of what points you have at your disposal. A great service, for example, is AwardWallet. AwardWallet notifies you when your balances change or when your points are close to expiring, insuring that you don’t miss out on a great travel opportunity. 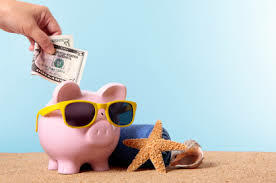 Next, TIME Magazine has some excellent tips for saving money while on the trip. Bring cheap, light breakfasts with you. Suggested items are yogurt, oatmeal, granola bars or fruit. This practice will allow you to save on at least one meal, each day. The only meal that you should really “splurge” on should be lunch, since the meals offered are usually less expensive and smaller portions of what will be served in the evening for dinner. You will get the same food experience for less money! TIME also advises packing a filtered water bottle with you to avoid constantly buying water during your trip. Another great suggestion is to stay away from areas or establishments that specifically cater to tourists. The fact that the business has gone out of their way to make itself attractive and convenient for tourists could mean that they have something to gain from it. Entrepreneur.com recommends that you avoid hopping into taxis and use a car service such as Blacklane which schedules your ride in advance and even tells you how much the fare will be. This is even preferable over apps such as Uber, since you won’t have to worry about surge-pricing. Last, if you find a flight that seems like it might be too good to be true, make sure you really are getting your money’s worth. Check whether the airline has any additional fees that will be tacked on, such as baggage fees. A great resource for to find whether the airline you have chosen has any baggage fees is this Ultimate Guide to Airline Fees which was compiled by SmarterTravel.com.